Hunnington Station, on the joint GWR/MR Halesowen Railway, opened to traffic in 1883 in a very rural setting between Rubery and Halesowen stations. Along with Rubery Station on the same line, Hunnington closed to passenger traffic in 1919. However, the line remained opened to goods traffic and workers' trains to the Austin Rover works at Longbridge until 1958. The station itself also had sidings serving the nearby Blue Bird toffee factory (now closed) on the B4551 Bromsgrove Road. 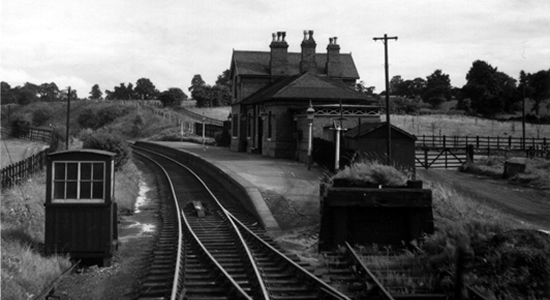 Above we see the grand Hunnington Station building in 1953 (photo: DJ Norton) looking in the direction of Rubery: the hut containing the ground frame controlling the aforemantioned siding can be seen to the left. Above-left we see the station house as it is today, as a well-preserved private residence. I assume either the present owners are either gaurding the crown jewels in their annex or are sick of railway enthusiasts visiting their house as the entrance driveway, which is long, is repeatedly marked by 'Private Road: Access to Station House only . . . no other entry'-type signs along its length. However, after travelling to view it, and exploring many other potential approaches to get a good shot (farmland at rear etc) I had to bite the bullet and drive-up to the house. 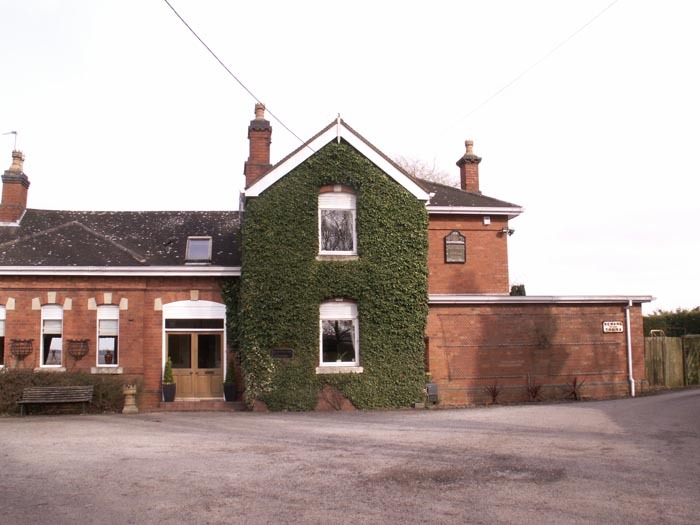 That said, they have done a great job in maintaining the exterior of the property (especially when compared with the wonderful shots sent in by Dave Morrall HERE). 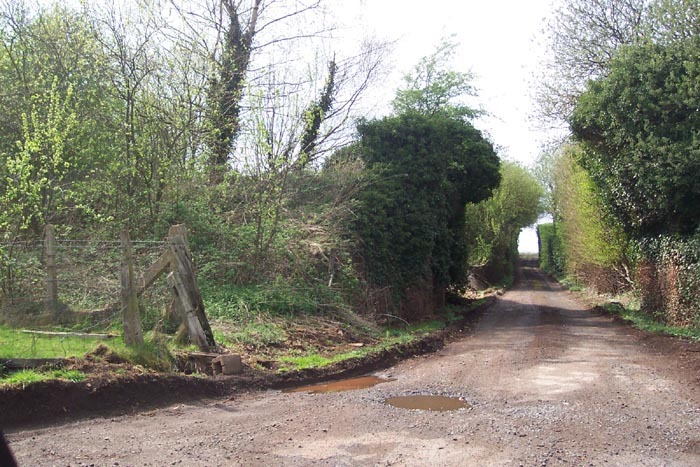 Above-right is the driveway to Goodrest Farm off the B4551 Bromsgrove Road (which is at the end of the tunnel of trees) with Hunnington Station to the left. The large 'bush' in the centre of the photograph is in fact what remains of the railway overbridge - the stonework is beneath the foliage. You can clearly see the embankment to the left of the bridge. 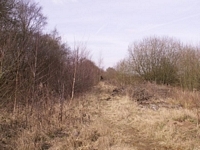 Above-left we have moved along the trackbed a short distance towards Rubery and are watching the embankment that once carried the railway, heading-off to the left towards Dowery Dell viaduct and into Hunnington. 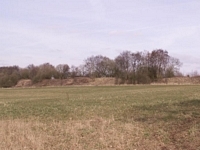 Above-right we have walked forwards from the previous shot and are on the trackbed facing Hunnington with Yew Tree Lane out of shot to our left. 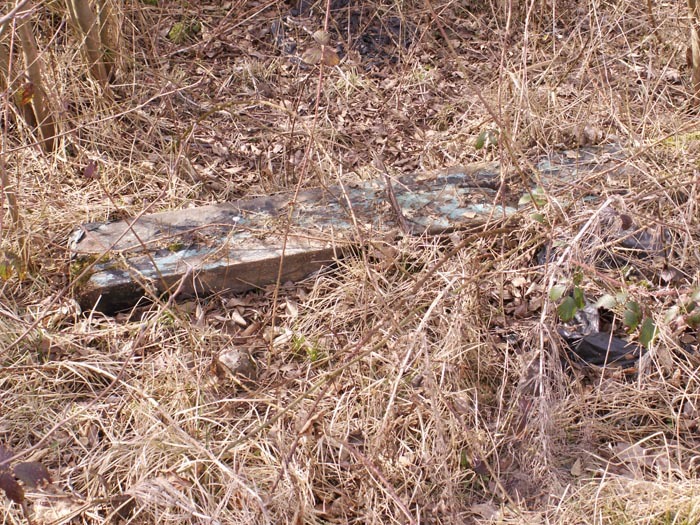 The trackbed is virtually impassible, despite a good attempt, as it is heavily overgrown at this point with brambles. 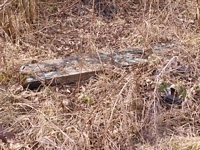 In spite of the brambles, I persevered long-enough along the trackbed to find this old sleeper in the undergrowth as a somewhat hidden reminder of the land's previous incarnation. 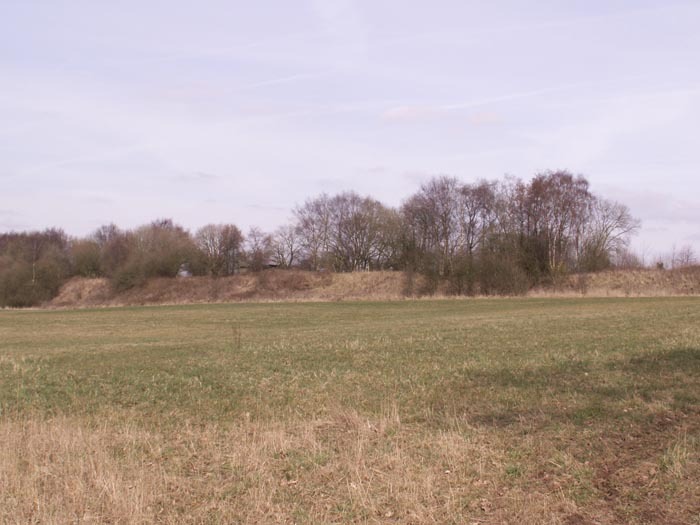 All-in-all, an important part of the region's railway heritage but not really worth a visit as between this site and Andrew Smith's site for MIAC, there is little else to discover for yourself there!